We are known to manufacture and supply a high-quality range of Voting Pads for our customers. Offered product is examined on various quality parameters for its reliable working. We are leading rental service provider of Voting Pad makes your presentation and conference even more engaging and interactive. Translation India's voting pads are easy to use solution with Plug and play capability. Pricing to Suit budget of Event manager and PCOs. Results will be displayed instantly after each quiz question. Translation India has managed successfully over 1200 voting pads in multiple sessions simultaneously and seamlessly. 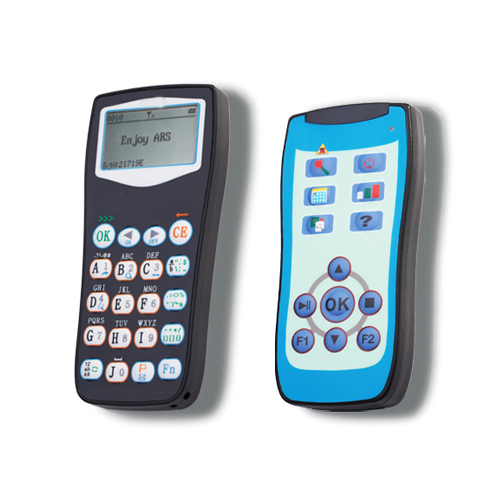 Audience Response System( Voting Pads) makes your presentation and conference even more engaging and interactive. FLEXIBLE rental solutions available across all the cities In India including: Mumbai, Delhi, Bangalore ,Chennai, Kochi, Hyderabad and many more. Set up Time: between 10 minutes to 30 minutes depending upon the number and availability of quiz Questions. Multi-report facility and analysis of data as per requirement.